Pioneer MVH-210EX 6-2/10 in. Double-DIN In-Dash DVD Receiver with Bluetooth is an entry-level in-dash multimedia A/V receiver designed to improve in-vehicle entertainment and connectivity with your smartphone. Enjoy features such as built-in Bluetooth for hands-free calling and audio streaming. You can also play back audio and video from USB and DVD sources. 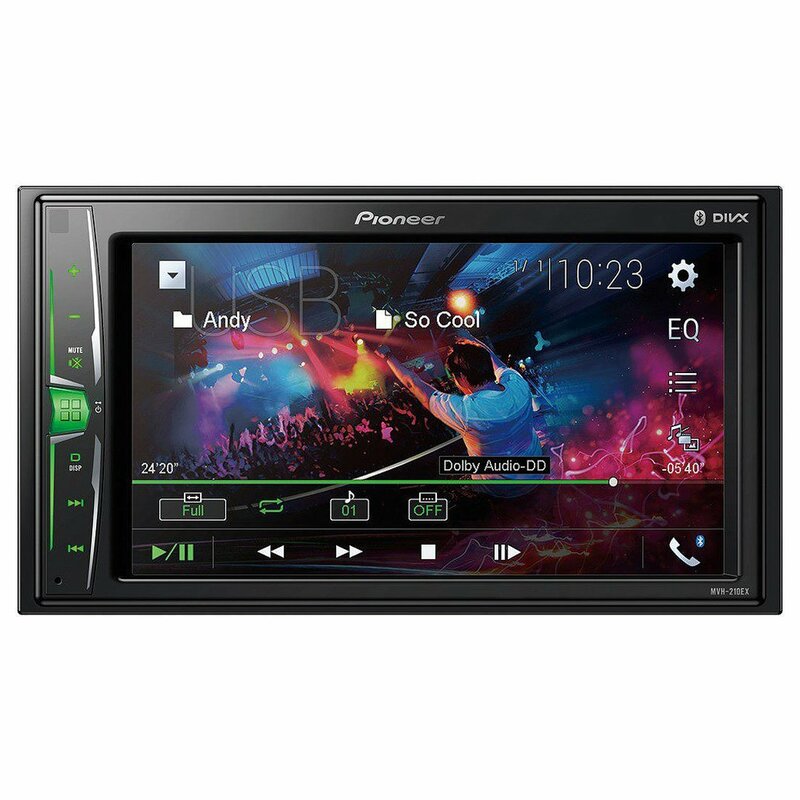 This MVH-210EX Pioneer head unit improves in-vehicle entertainment options as well as connectivity with your Apple or Android smartphone. Enjoy features such as built-in Bluetooth for hands-free calling and audio streaming plus audio/video playback from USB! This head unit can also accept a back-up camera, add parking assist lines. Built-in Bluetooth technology for hands-free talking and audio streaming. Works with most Bluetooth enabled cell phones. Includes an external wired microphone for clear, convenient, distortion-free talking. 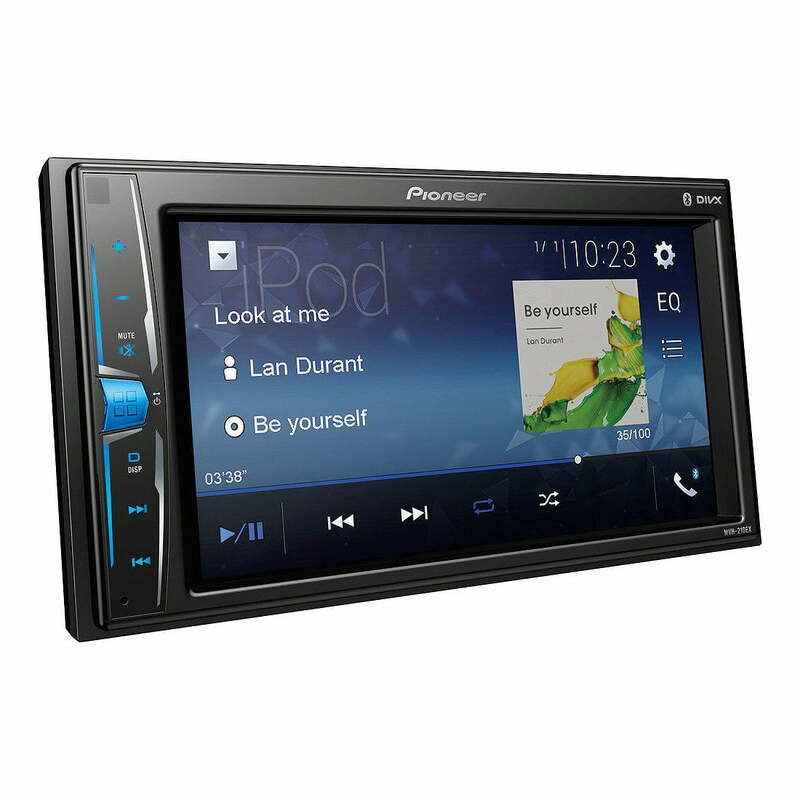 The Pioneer MVH-210EX also supports wireless audio playback (AD2P) and control (AVRCP) of a Bluetooth enabled audio player or smartphone. 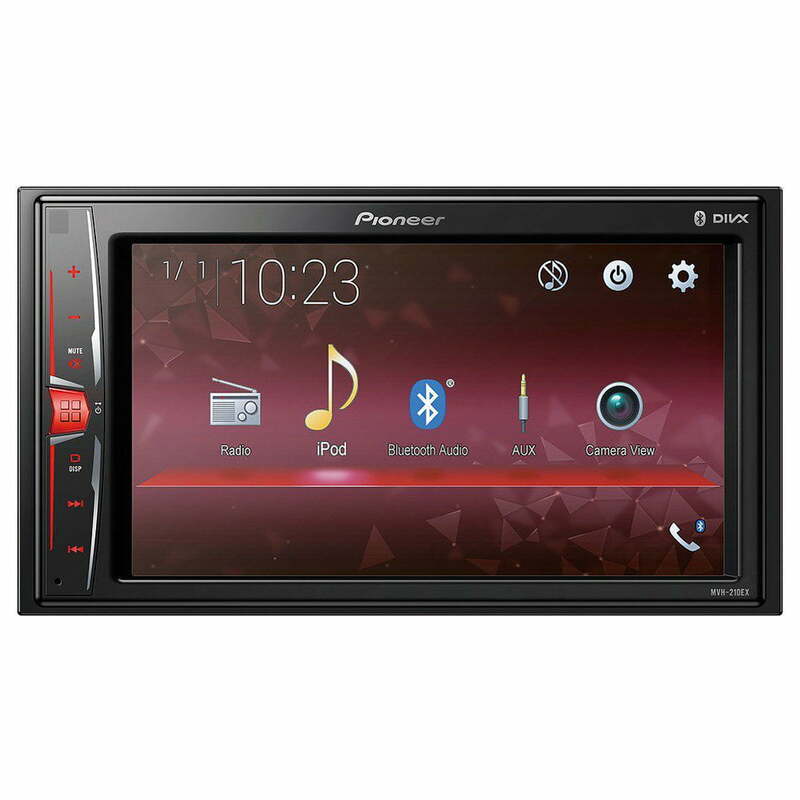 The head unit can stream music stored on your Bluetooth enabled device or music apps you have downloaded on your device. When an incoming call or outgoing call is in progress from your Bluetooth enabled mobile phone, audio streaming will be paused so you can take your call.